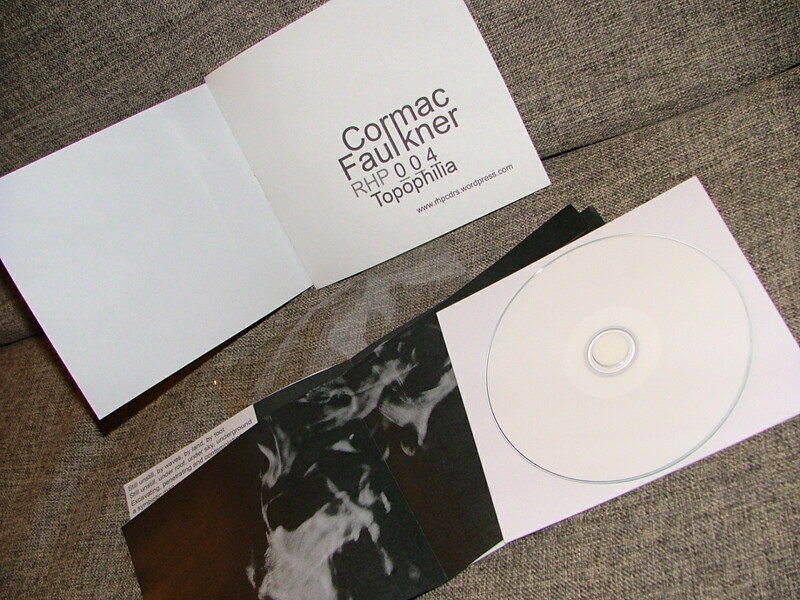 [RHP] CDRs release for May 2013 is from Irish artist and Coventry based Cormac Faulkner [more information below] and is titled ‘Topophilia’. A performance based on the works in ‘Topophilia’ will take place in June alongside a performance by Tailor and the Crow [a band made up of Cormac and Ian Kinsella] who have also just released a new album on limited edition 12” vinyl through the Corvid Label titled ‘To This I will Declare’. 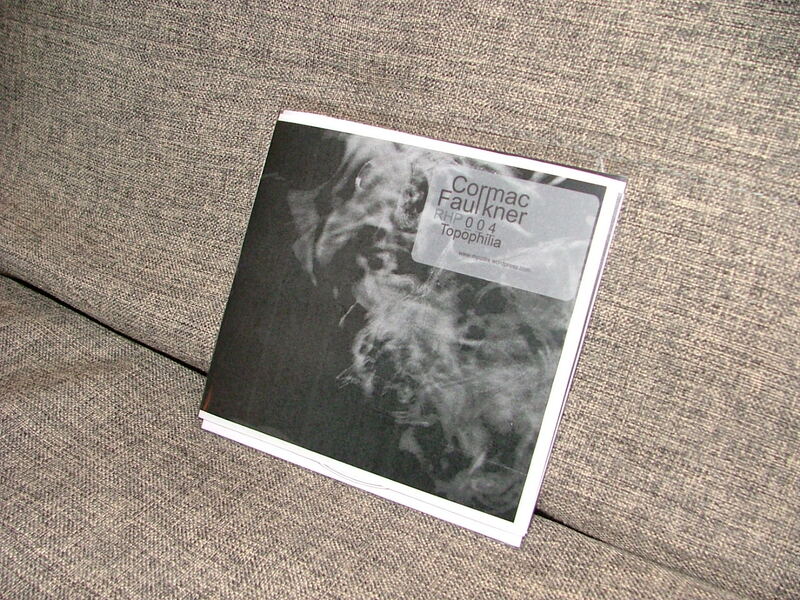 Cormac Faulkner’s work is concerned with our reactions to different spaces, this is reflected strongly in his use of field recordings which are often edited through tape- looping processes and then worked over with a variety of live instrumentation ranging from Guitar and Accordion too Shruti Box, the instrument which often provides the drone element to much Classical Indian Music as well as there being frequent use of the human voice. Based in Coventry he produces densely layered sound works which often take the form of installations, evidenced in his work ‘I am an Instrument’ which is on show permanently at the Herbert Art Gallery and Museum and occasionally his works use more traditionally musical distribution methods such as album releases, gigging and participation in bands. 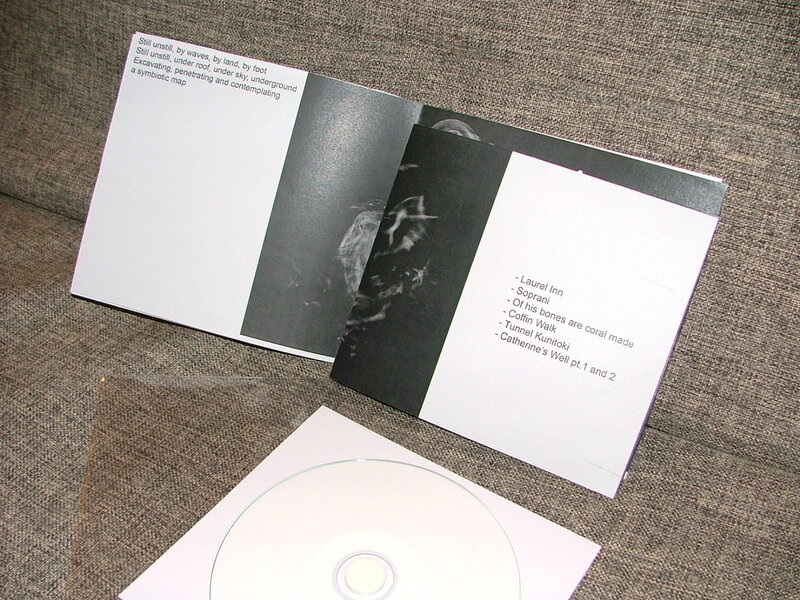 Physically, the album fits the [RHP] CDRs template of an artist designed cover, some artist supplied but house designed content in the form of a small insert, in the case of Cormac’s release there is a bound section to the insert and several loose pages which are designed to be explored tactually by the listener to highlight the albums interest in exploration of space.